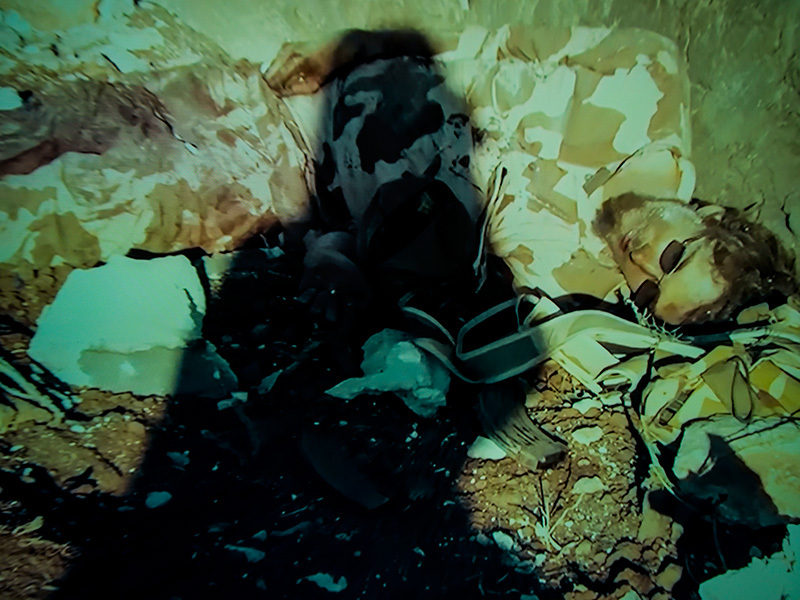 The work “state al-canadi” is a series of photographs from a video of the same name, which was made in 2013 in Syria by members of the Islamic State, with the aim of using it as a recruitment tool for new members. The video shows the life journey of a Canadian jihadist from the West to Syria and death in battle. Clips from battles and from promotional videos about Canada are used, in effect creating a new category of propagandistic video which combines particularly heterogeneous material. What are the boundaries of the real and the staged? How much distance separates the two places and cultures and the images that represent them? Finally, can we speak of a clash of cultures or simply of different manifestations of conflict in a postmodern world?